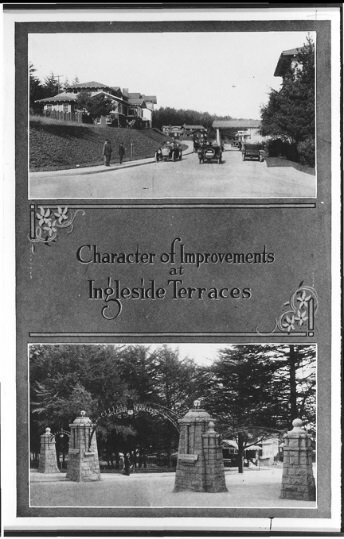 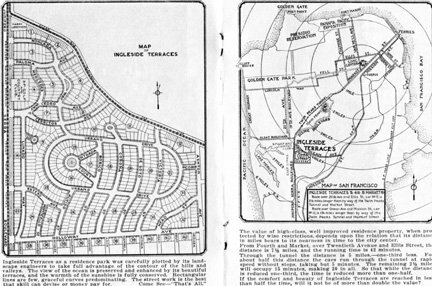 Ingleside Terraces, built near the popular Ingleside Inn (below) and on the site of the old Ingleside Horseracing Track, with commanding views of Merced Lakes and the Pacific Ocean, was one of the first subdivisions built on Sutro’s property. 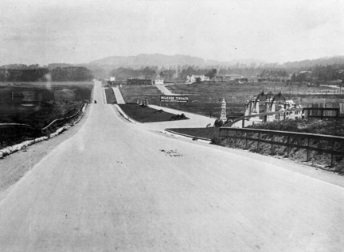 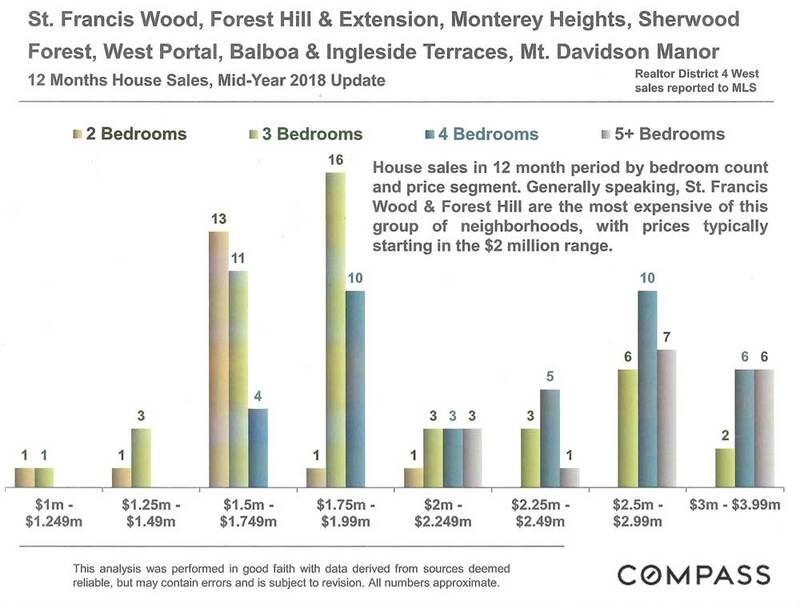 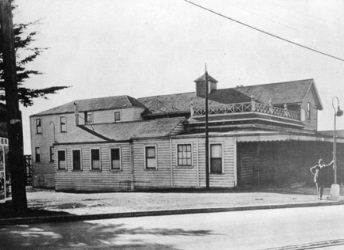 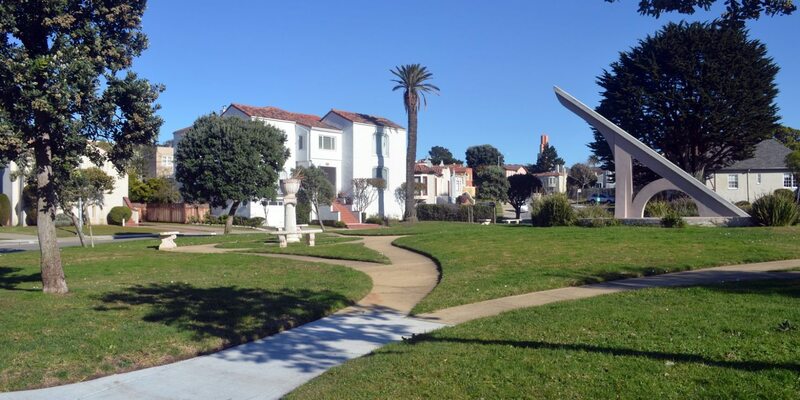 Opened in 1913, the 613 parcels spread over 148 acres between Garfield and Randolph Streets, Junipero Serra Boulevard (below) and Faxon Avenue, were purchased for $2,500 per acre. 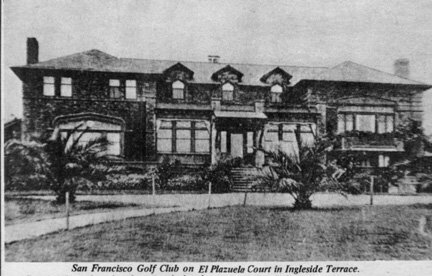 It included the San Francisco Golf Club pictured below.